This 7-day camping safari takes you on a tour of four of the most famous nature reserves in Botswana. 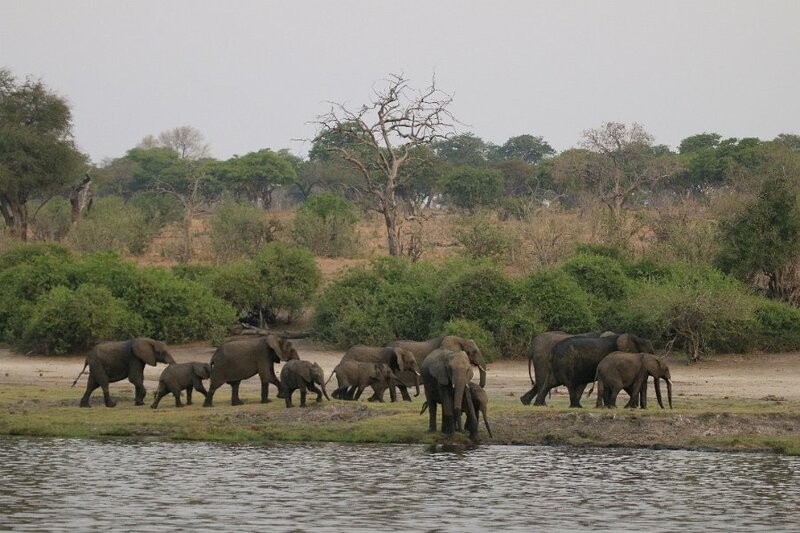 The Chobe National Park is Botswana’s oldest national park, lying directly next to its namesake, the Chobe River, and is home to large elephant and Cape buffalo herds. The Moremi Game Reserve is one of the most beautiful and diverse game reserves in Africa. 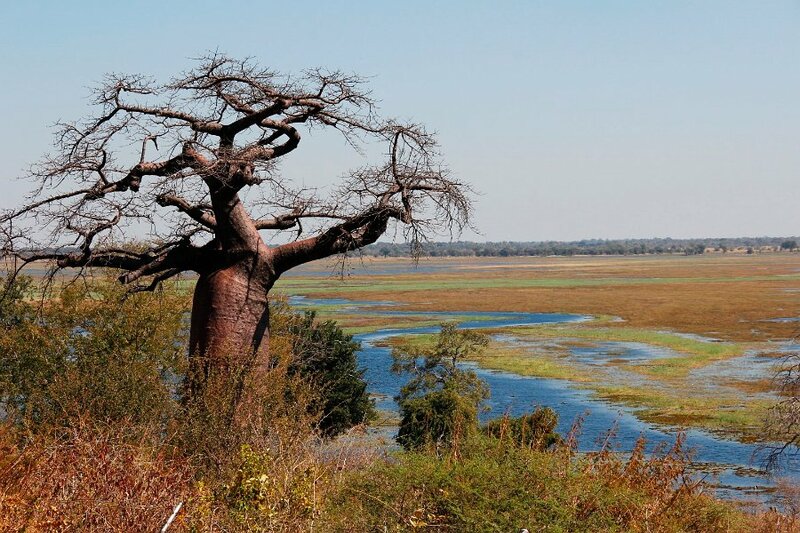 The Okavango Delta as one of the most famous sights in Africa needs no introduction and together with the Makgadikgadi Salt Pans rounds off this impressive tour. In addition to once-in-a-lifetime game viewing, there will also be time to relax and meet some of the locals. Trained guides will accompany you on this journey and provide you with a keen understanding of Botswana’s wildlife and the fragile eco-system of southern Africa. You will be met at around 12:30 at the Coffee Buzz cafe in Kasane, where your guide will brief you on the adventurous safari ahead. The afternoon will be spent on game drives in the Chobe National Park. The park, covering around 11 700 km2, boasts a diverse landscape that includes floodplains, swamps and woodlands. 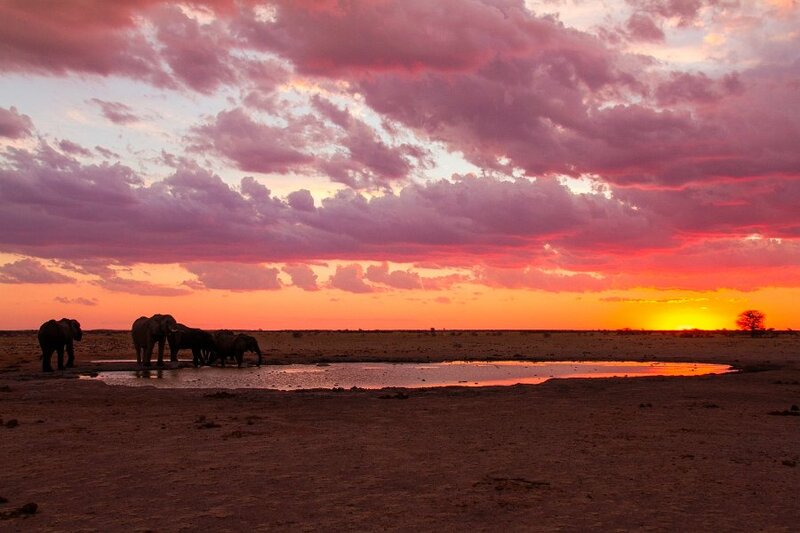 It is most famous for its giant elephant herds, which at times can have up to 300 animals per herd. Driving along the shores of the Chobe River you will see the impressive bio-diversity of species the park has to offer such as hippos, lions, buffaloes, puku, warthogs, waterbucks and in rare instances wild dogs and sable antelopes. 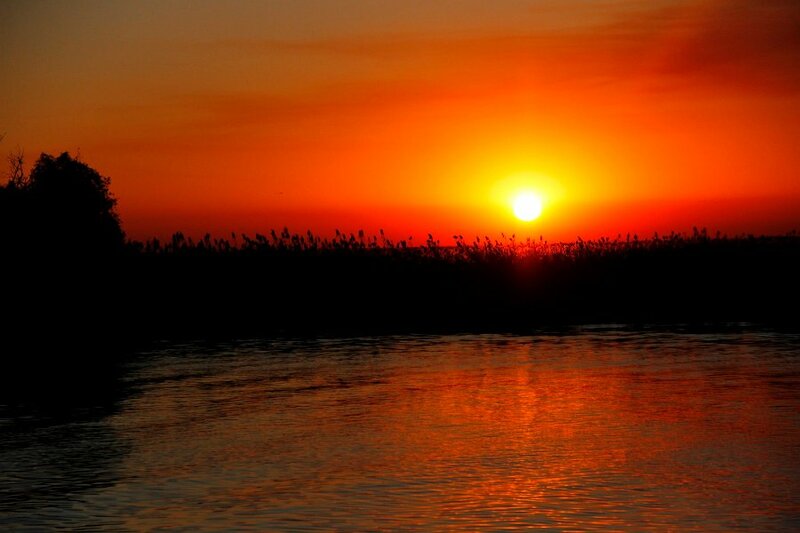 Early arrivers can opt to take a boat cruise on the Chobe River (optional and not included in price). Guests coming from Zimbabwe will be met at the border around 11:00 h to be taken to Kasane. 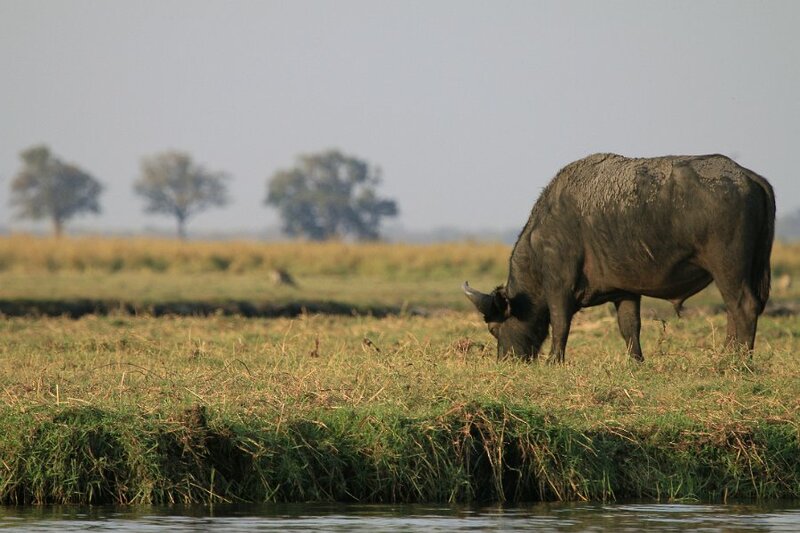 After breakfast you will continue to the western part of Chobe National Park, the Savute Region. Along the way you will pass the town of Kachikau, the Chobe Forest Reserve and go through the Goha Gate. The region receives its water supply irregularly from the Savuti Channel and is known for its migrating herds of zebra, kudu, impala and wildebeest. Naturally predators are always close by, keeping an eye on the herds. Once you have arrived and set up camp, you will enjoy a hearty lunch before starting your game drive through the region. The region is also famous for early Bushmen paintings, which can easily be visited on your game drive. The hills of the region offer the chance to see leopards, who live there, up close and personal. The Savute Region is a paradise for animals and birds alike. In the evening you will head back to your camp for dinner. The day will be brought to a close with a crackling fire under the impressive starry skies and only the sounds of the animals to fill your dreams. In the early morning you will enjoy some further game drives before heading off in the direction of Moremi Game Reseve. After the camp has been set up and lunch has been thoroughly enjoyed, you will start your game drives in the game reserve. The Moremi Game Reserve is one of the most beautiful game reserves in Africa. The huge diversity of wildlife will give you the chance to see animals you have not yet had the chance to observe. Overnight at a nearby campsite. After breakfast you will enjoy another game drive in the Moremi Game Reserve. The vast array of wildlife, such as cheetahs, hyenas, impalas, lions as well as nearly 500 bird species, will keep your eyes glued to your camera to get the best shots. Passing the lagoons, flooded pans, plains and forests of the game reserve on your way to Maun only emphasizes why so many animals have made this area their home. Today’s lunch will be in the form of a lunchbox and you will arrive in Maun in the late afternoon. 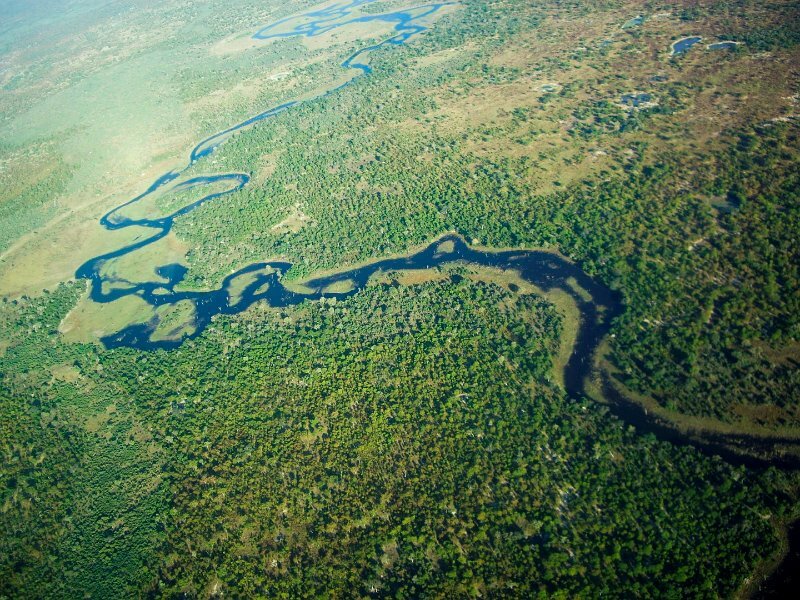 The mighty Okavango River, which fans out across Botswana, makes for the largest inland delta in the world – the Okavango Delta. 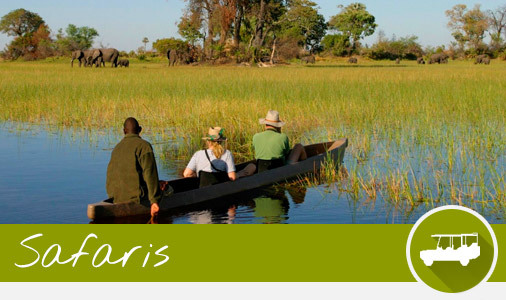 Maun is the gateway to this world-renowned sight and you will explore the numerous waterways and hidden lagoons of the delta in ‘mokoros’ (log canoes). The mokoros are steered by polers from the surrounding villages, who know their way around the myriads of waterways. The delta is a unique area where extremely dry land and water collide. In the approx. 3-4 hours spent in the delta, you will really get to know this unforgettable landscape with its thousands of islands and diverse array of wildlife. Optional activities such as flights with helicopters or fixed wing aeroplanes can be booked and paid on site. You will spend the night on a campsite in Maun. 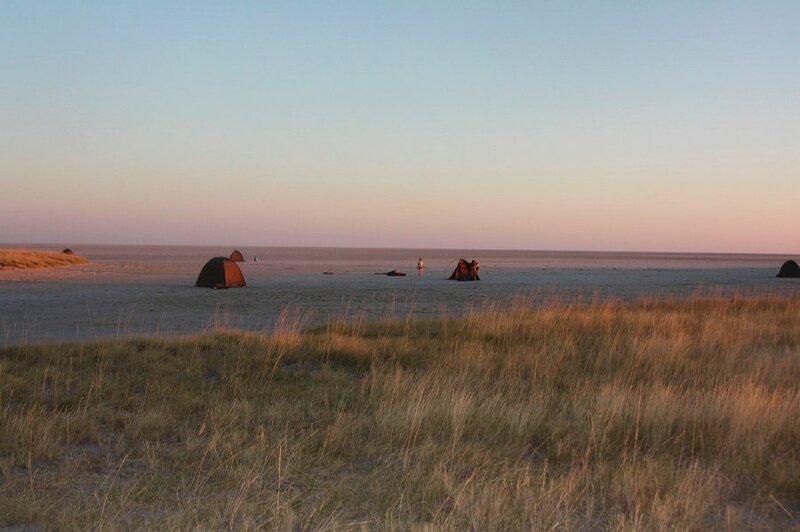 After a leisurely breakfast you will leave Maun and continue your tour to the Makgadikgadi Salt Pans, reaching your destination in about 4-6 hours. From a distance you will see the shimmering salt flats on the edge of the Kalahari basin. Depending on the season, you will stop for lunch at Chapman’s Baobabs, also known as the seven sisters and regarded as one of the largest trees in the world. Your last night will be spent sleeping under the stars on the salt pans. Truly a night to remember (season dependant). Today you will have an early start back to Kasane in order to reach the Zimbabwean border at around 13:00 h. The drive will take between 4-6 hours and you will pass Nata and Pandamatenga, an agricultural area, which is the only crop producing area in Botswana. On your journey back you might with some luck even be able to catch a last glimpse of the great elephants and the mysterious sable antelopes.